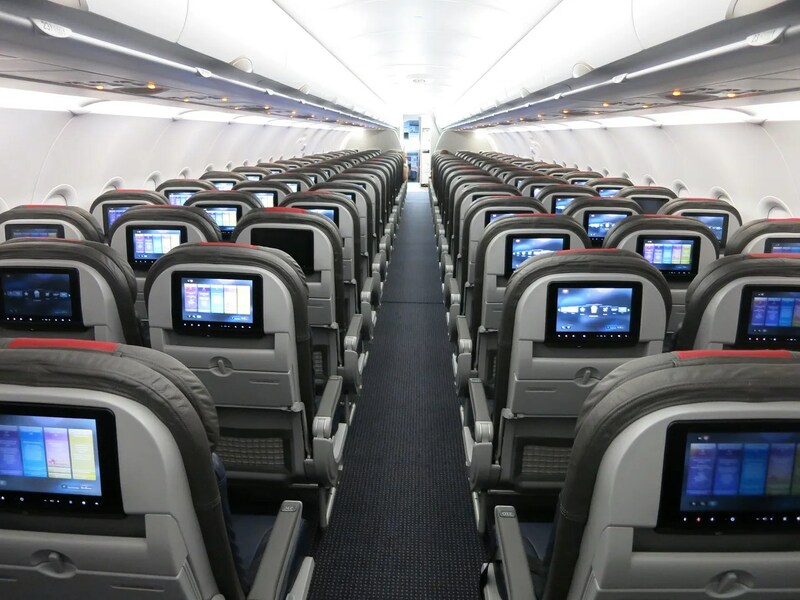 American AAdvantage has too many elite members after their merger with US Airways, and now that they bonus premium cabin fares with extra elite qualifying miles. They’ve also been the only major US program without an elite tier between 50,000 and 100,000 qualifying miles. American is announcing several changes to their elite program today that go into effect next year. And they’ve announced the date on which American will start awarding miles based on the cost of a ticket rather than distance flown — a change that Delta and United already made. I spoke with AAdvantage’s Bridget Blaise-Shamai this morning about the changes they’re making. Back in November American announced that they would mimic Delta and United with mileage-earning for flights based on cost of your ticket instead of miles flown in “late 2016.” That was subsequently revised in future communications to be ‘the second half’ of 2016. At this time 500 mile minimum redeemable miles earning (but not elite qualifying miles earning) for elites will go away. The actual change goes into effect for travel (not tickets purchased) August 1 onward. American-marketed flights, whether on American-issued tickets or partner-issued tickets, will earn based on the price of the ticket (inclusive of fare and surcharges, but not taxes). We’ll know soon enough how good American’s IT is in tracking ticket prices booked through corporate booking sites and including partners on the same ticket. United had real teething problems with this. And it doesn’t change anything for flights marketed by partners, those still earn based on distance and class of service (although American has reduced earning for discount classes of service for many partners). It also doesn’t affect American tickets sold with vacation packages, bulk fare tickets, or student tickets. Last month I said this wouldn’t happen July 1, and that we’d get about two months’ notice. Both of those predictions are bearing out. However I wasn’t prepared to bet on August 1 because coming changes to Basic Economy will also require significant updates to American’s booking path in order to upsell customers. I’d have expected Basic Economy to take priority for IT resources. Nonetheless, rumblings for awhile have been that this change was coming sooner than later (and I wasn’t ever convinced by the folks saying they had credible reason to believe it wouldn’t be until October 1. Here’s how revenue-based earning may affect you. In February word leaked that AAdvantage would introduce a new elite tier. The first four-tier elite program in the U.S. came about through the US Airways acquisition of America West. America West has a 75,000 mile top tier. US Airways had a 100,000 mile top tier. Why make any of your customers unhappy? Then when Delta and Northwest merged, they each had 75,000 mile top tiers, but the combined airline became at the time the largest in the world. So they kept their 25,000, 50,000, and 75,000 mile levels and added a new 125,000 mile level on top. United and Continental merged. They each had three levels, with Continental’s top tier at 75,000 and United’s at 100,000. So they kept all four tiers — just like US Airways had done — and offered 25,000, 50,000, 75,000 and 100,000 mile levels. American took a different path. Since they basically moved US Airways Dividend Miles onto the AAdvantage platform, and made as few changes as they could to get as smooth an integration as possible, they were left with 3 tiers and a very big gap between 50,000 and 100,000 qualifying miles. That will change in 2017. Next year they’ll offer a Platinum Pro level which can be earned starting January 1, 2017 (for the 2018 elite year which runs through January 31, 2019). Platinum Pro will be oneworld Sapphire just like Platinum elites. It will earn 9 miles per dollar psent on tickets (compared to 8 for Platinums and 11 for Executive Platinums). Interestingly, this 80% bonus compared to base member earning is still less than the 100% bonus on miles flown regular Platinums earn today. Platinum pros will receive complimentary domestic upgrades starting 72 hours from travel. They will no longer need to spend 500 mile upgrade certificates. Companion upgrades will work in a similar fashion to companions for Executive Platinums. Platinum Pro members will not earn 500 mile upgrade certificates. Like Delta and United, American will be requiring minimum spend for elite status in additional to qualifying miles-earned starting in 2017 (for earning of 2018 status). And like Delta and United, the minimum spend requirement will be 12 cents per mile. This is actually much lower than average revenue per mile at the airline, so the median customer won’t see a change. But the lower-spending customers will have a hard time earning status. In fact, the customer spending $5000 a year and flying 100,000 miles to become an Executive Platinum now will get busted down to Gold. This applies to all members worldwide and not just to US-based members like competitor programs have done. Unlike other airlines with minimum spend requirements for status, American will award elite qualifying dollars for partner flights. If the flight has an American Airlines code, it earns based on the cost of the ticket. If it has a partner flight code (and the partner earns qualifying miles, not all do) then elite qualifying dollars will be awarded bsaed on distance and fare class (with new charts for this expected to be released in mid-July). None of this affects the status you’re earning this year and will be able to enjoy next year as a result. They are “still working through options” for waivers of the spending requirement for elite status for co-brand credit card holders. Delta waives the spend requirement for status with $25,000 in spend on a Delta American Express card in a year. United waives the spend requirement for status up to the Platinum level with $25,000 in spend on a United co-brand in a year as well. American may have news on this front later, but doesn’t have anything to commit to today. Of course they’re in the midst of re-upping their credit card co-brand deal as well. It would be surprising to me if at some point the eventual winning bank doesn’t insist on adding a component like this at least. AAdvantage elite ranks were swelled by premium cabin bonuses towards status (first ‘elite qualifying point’ bonuses and now multiples of qualifying miles on premium fares. As the world’s largest airline with a much more comprehensive route network it’s also far easier for a customer to stay on one airline now and earn status. On net Bridget tells me their modeling suggests that there will be ‘very modest declines’ in the number of elites compared to before bonuses towards status kicked in 18 months ago. Bridget also tells me that in the next month or so elite member accounts will also start showing detailed histories of elite qualifying activity — not simply the year-to-date total that they show today — so that’s great news at least. “Later in 2017” American is going to change upgrade priority. Currently upgrades are sorted based on elite status and time of upgrade request. That is going to change to sorting upgrades based on elite status and “12-month rolling EQD total” — so the amount you’ve spent on American tickets will determine your place in the upgrade order. The change affects both domestic and international upgrade priority. It doesn’t affect other wait lists. Although there won’t be too many occasions where two passengers on the upgrade list have the same elite status and same exact trailing spend, Bridget reports that “booking code and time of request” will be tie-breakers after rolling elite qualifying dollars. American isn’t following the path of prioritizing full fare on given ticket over status, but since Delta has walked away from that it’s no surprise American isn’t doing it either. Instead they’re directly rewarding higher spend elites with a better shot at upgrades, and taking upgrades away from lower spending customers. Previously Concierge Key — American’s revenue-based recognition program — didn’t provide official upgrade priority. But Concierge Key members earning their status via spending will now have priority for upgrades for Executive Platinums who aren’t spending enough to become Concierge Key. This change also really devalues lifetime elite status. A lifetime Gold or Platinum who isn’t flying regularly and continuing to spend as much with American will always be at the bottom of the upgrade queue. AAdvantage is still “waiting on IT to get a go-live date for this” change. Also “later in 2017” Executive Platinum (and Concierge Key) members will become eligible for complimentary upgrades from economy to business class when redeeming miles for coach tickets on domestic upgrade routes. This is available for one cabin upgrades on coach tickets, it does not offer upgrades on business class awards to first class on three cabin aircraft. Upgrades will be prioritized within status tier, but below all other revenue tickets. Executive Platinum companions will be eligible for upgrades as well, under the same standards as revenue tickets. It’s strange in a way that they’re introducing upgrades on $0 fares just before they’re expected to announce ‘Basic Economy’ lowest fares that exclude elite upgrades. You’ll be able to upgrade if your ticket price is $0 but not if your ticket price is low but still above $0. Big spenders overall as a result of reduced competition within their status tiers and prioritizing of their upgrades. Those who retain Gold and Executive Platinum will also have a higher bonus miles earning percentage compared to general members than they do today (regardless of whether they’re earning more or fewer miles than under distance-based earning). Of course these members already took it on the chin with the award chart devaluation in March (so the miles they earn are worth less). So it’s not all sunshine and unicorns even for high spending frequent flyers. American is putting out a quote from Andrew Nocella, American’s Chief Marketing Officer (who the President of AAdvantage reprots up to), that “American Airlines is evolving AAdvantage to continue our tradition of having the best loyalty program in the world by rewarding our most loyal customers with the benefits they value the most.” I find evolving to continue their tradition to be rather off in this case. They’ve introduced revenue-based mileage-earning, just like Delta and United. They’re introducing 4 elite tiers with minimum spend of 12 cents a mile, just like Delta and United. They’ve devalued their award chart, just like United (Delta hides theirs, but keeps devaluing it too). Their 75,000 mile elite tier and some form of upgrades on domeestic award tickets also follows Delta and United. Delta President Glen Hauenstein and American President Scott Kirby are both outspoken that they want customers to get the product they’re paying for, and pay for the product they want. And when you do that, you buy that product from whomever has the best schedule for it at the lowest price. That means less of an emphasis on loyalty — the loyalty program because less of a reason for customers to choose an airline when that airline is less convenient or more expensive. American continues to move in lock-step with the industry which isn’t at all surprising. If you want to know what either United or American will do, there’s no better guide than looking at what Deltais already doing. Will lifetime or current PLT’s still keep OW sapphire or only PLT Pro’s? Many of the best deals come from non-flying activity. That’s two-thirds of miles. And redemption through international programs. It’s becoming more and more important to pay close attention to get the best deals, no longer enough to just focus on a single program like AAdvantage or MileagePlus. That line from Bridget on SWUs is rather insulting if you ask me. Sure they’re good on any fare class, but soon they are only going to good for Y to PE or PE to J. No more Y to J. And I am only earning 4 of them. Massive devaluation. Can I sell my leftover 500 mile upgrades? Seems to me if you’re imposing EQD’s and effectively monetizing your product in this manner it would be fair that should I wish to no longer participate I should be permitted to transfer them to somebody who could use them. They were obtained by purchase some of them so it’s not like I didn’t pay for them. Is Bridgit Blaise-Shemai the new head of AAdvantage to replace retiring Suzanne Rubin? If not, who is? @Jerry Mandel – American hasn’t announced a new President of AAdvantage. I believe the specific managing director position Bridget holds is the one Suzanne had before she was promoted but my memory could be faulty there. @Mark Montgomery there was a time you could convert 500 mile upgrades to miles. Sigh..
Major Bummer for those with lengthy international trips this fall, booked into coach but using Systemwide Upgrades. I thought instead of LAX-NRT being 10,880 miles rt, as an ExecPlat I will earn 8349 miles on my $759 ticket, and a regular member would earn 3795 miles for the round trip. But NO! That $759 fare is really only $672 before taxes, which are excluded, so it yields 7392 miles roundtrip, cut by 1/3. Thanks, AA! A $1700 purchased business class ticket JFK-LHR will not earn 6880 miles * 1.5 (10,320), but the $682 “cost” (the rest is taxes and ‘carrier imposed fees’, but it’s not broken down on the receipt) will yield 7502 miles, about a 1/4 cut. Thank god the EQM haven’t been touched (yet), or this whole loyalty thing would be over. I won’t look forward to switching flights and ever getting an upgrade anymore, now that 75k flyers will trump EXP’s who try to head home early or need to switch to a later flight, for that elusive upgrade. My sole Systemwide Upgrade (r/t, with my wife) per year will further impact my spend—- wondering if I will make the $12k minimum for EXP if I only have one intercontinental upgraded trip. In the past, with my business travel, two or three annual trips paid in coach to Europe or Asia (and hopefully upgraded, but not always), pretty much assured $12k to AA. Now: I’m not sure. Well, it’s been fun. Alaska’s program looks better and better. And perhaps my home hasn’t seen enough of me these last dozen years. I really don’t have to spend my life at the airport. Savings on CLEAR, my international medical coverage, reducing my 90+ nights a year in a hotel, and all the various airport parking, rental cars, etc., would be quite a sum. 1. AA is driving long time customers to other airlines, such as WN. Gary, you may have covered this, but are EQM’s still earned at the same rates (miles flown)? There is no way to disguise that this is a massive devaluation of the Advantage program. I have been Executive Platinum for 9 years straight (110k-160k miles/yr) after I switched from Continental, but with the new spend requirement I will not continue to be Executive Platinum. I work hard to make my travel budget go as far as it can. I have lifetime Platinum on AA and in a couple of months I’ll hit lifetime Gold on United. At that point there will be no incentive to pick one over the other, and in fact significant incentive to reduce the international component of my work travel as much as possible. The 8 SWU/yr made it reasonable to do 5-6 trips per year on AA since 4 would be in business (plus 2-3 on United to maintain Gold and get to the million miles). Cutting to 4 SWU/yr was bad enough, but now…I’ll have my 4 SWU for 2017, so I’ll cut the international to 4 trips, and after that to 2/yr, AA or United. Domestically, United will have the edge since I can avoid the spend limit with a credit card, I get 2 domestic coupon upgrades in addition to the complimentary ones, and my wife will be Gold. So after 2017, bye-bye AA. So many are switching from AA to WN, Jet Blue, Virgin America. Interesting point of differentiation in relation to EQD is the imposition of the requirement for non US customers (or, to look at it the other way round, the lack of an exemption for non US customers, balanced by the prospect of EQD credit for partner flights. I couldn’t agree more, I’m in this boat and whilst I regularly hit PLT I’m not sure I’ll get there with spend, and it’s IATA’s forex as well which I’ve found a crap shoot and a pain to validate for United ticket conversions. Frankly I’m fed up, I was pulled in by US merger and being in BA territory I always avoided and used *A but I’m sitting on 1M on AA and that’s excluding the family. Time to ponder as I still use LH and UA a lot with it all banked on UA. Do you think AA will add a Platinum Pro status challenge/match level this fall? Does anyone know how miles for an itinerary that spans August 1 would be calculated? The Aadvantage rep I spoke to on the phone seemed to think that the outbound would be calculated differently than the return.